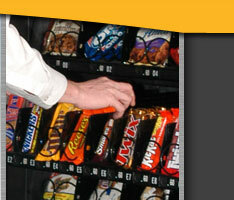 All Goodman Vending technicians are trained and certified service professionals. Most are certified as refrigeration technicians. Cell phones and two-way radios keep us in touch with our maintenance team, meaning that a technician can get to you fast in the event of a problem. 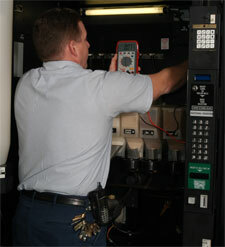 All service calls are answered promptly, with 24-hour service available, every day of the year. Our response time to most calls is under an hour. Goodman Vending guarantees that we’ll keep your equipment in good working order, and that’s supported by a Repairs Department containing an extensive state-of-the-art parts inventory.